SKU: 2054539278. Category: Solar Energy Systems. Tag: Fresnel Lens. LED magnifier, fresnel lens solar energy, rear projection fresnel screen,fresnel solar concentrator,fresnel magnifier,camera fresnel spotlight and so on. As early as the 18th century (1748), it is found that the traditional energy refraction lens only occurred on the surface and remove as much of the middle part, and retain the surface curvature, formed a thin flat lens, can still maintain good energy transmittance. Fresnel lens to form a thin flat lens, its profile look like a sawtooth shape, but in fact every adjacent blade Angle is constantly changing, the Angle of the change is in order to focus light converge to the same place. 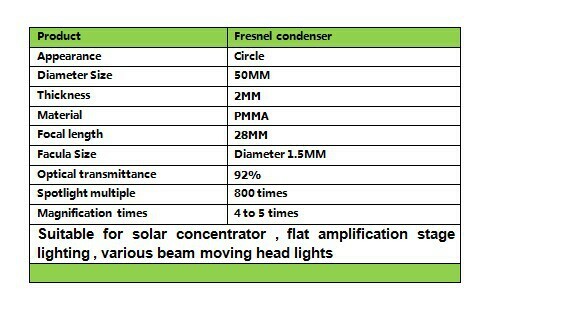 According to its focus in different shapes, can be divided into point focusing Fresnel lens and line focus Fresnel lens. 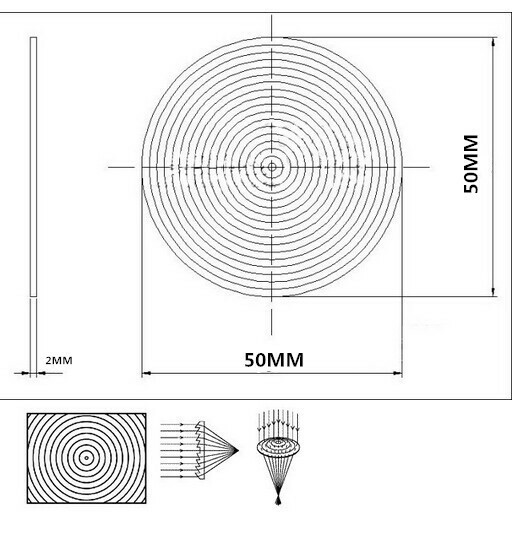 Fresnel lenses are most often used in light gathering applications,such as condenser systems or emitter/detector setups. Fresnel lenses can also be used as magnifiers or projection lenses.This Lens is also great for the fine print in books, magazines,maps,telephone directories,recipes,etc. This can really be a great and creative gift to children as a toy and senior people who need visual aid. The following announce is suitable for all the customers . Before purchase your order , Please take one minutes to read below regulation . If your country need through other transportation to send the goods, Please contact us to help you solve the transportation problem. According to the regulations of the Russian post office, all Russian buyers must provide full name was able to pick up package. If you are Russian customers, please provide your full name, thank you for your cooperation.